Oxfordshire's most eclectic family friendly festival of the Arts is back. See www.greatbarnfestival.co.uk for full details. Storytelling, Shakespeare, Folk Musicals, Comedy, Prohibition Jazz, Ukuleles and even a suit of Armour clad comedian. Definitely something for everyone! David Gibb is on a one-man mission to make brilliant, engaging and high quality music for families and children. Join David on a musical journey through his hilarious and often surreal imagination, where bears live in the cupboard under the stairs, wolves are roaming the corridors at school, and trips to the moon are a regular occurrence. David Gibb is a children’s musician and songwriter from Belper, Derbyshire. He was a finalist of the BBC Radio 2 Young Folk Award 2011, as well as winning the ‘Highly Commended’ prize at the Young Storyteller of the Year Awards the same year. This event is run as part of the Great Barn Festival. Please see www.greatbarnfestival.co.uk for more information on all the events taking place. Festivals can be difficult for children with special needs so we have set aside time at the start of the day when the grounds will be less overwhelming to welcome kids who find buzz a bit of a challenge. We want everyone to get involved. Bee Operanto is a local artist specialising in illustration, mixed media and 3D form. She lives in a cottage in the woods and her studio, Puff of Smoke, is nestled in the garden. It is a neverland of creatures, dwarfs, fairies, dragons and always the sound of a story drifting through the air. Bee is an experienced teacher and has adapted her children’s illustration workshop to be sensitive to children who may need a carer, a little more space to move, an enclosed tent with sides down, or a relaxed group where moving or making noise will not be a problem. We are happy to discuss individual needs and see if we can make a special place for everyone. In this hour long workshop Bee will tell a story and encourage the children to produce a piece of art inspired by or illustrating the tale. A true believer that there is no wrong in art she inspires confidence in young artists and guides them from the simplest mark making to refining drawing technique or exploring their own ideas and imagination adeptly and with a tremendous sense of fun. ​This event is run as part of the Great Barn Festival. Please see www.greatbarnfestival.co.uk for more information on all the events taking place. The workshop, run by Creation Theatre, aims to introduce children, aged 8-15, to Shakespeare in an imaginative and unique way. This highly acclaimed company make learning about classic stories fun, with drama games and theatre! Join in with our Shakespeare themed storytelling workshop based around Romeo and Juliet, with a focus on the feuding families. Participants will work on staging some dramatic retellings of scenes from the play to present to parents at the end of the session, as well as playing games and working on performance skills. All our workshop leaders are theatre professionals so they really know their stuff! They aim to instill a love for literature that will last a lifetime. Also included is one free entry ticket for the workshop participant to our Shakespeare in a Suitcase production of Romeo & Juliet, Saturday 8th June, 4.00pm – 5.00pm. Sibling, parent or carer discount available for this additional production. Oxford's largest professional producing theatre company, specialising in site-specific inventive theatre in extraordinary locations. Their shows are anarchic, unexpected, fun, lively, quirky, fast and definitely not like any version you’ve seen before. 22 years, 70 shows, half a million audience members aged 5-95… Oxford’s own Creation Theatre Company. A chance for children to embark on a magical musical adventure to remember with a workshop from award winning song writer and performer David Gibb! Create your very own song, exploring lyrics, melody, rhythm and more. At the end of the session, perform the song and wow your family and friends. This a fantastic opportunity for children to be introduced to a variety of musical instruments and genres. David’s song writing draws from a wide range of influences, deftly blending folk, jazz, reggae and rock and roll, always with an emphasis on quality and musicianship reminiscent of the classics. 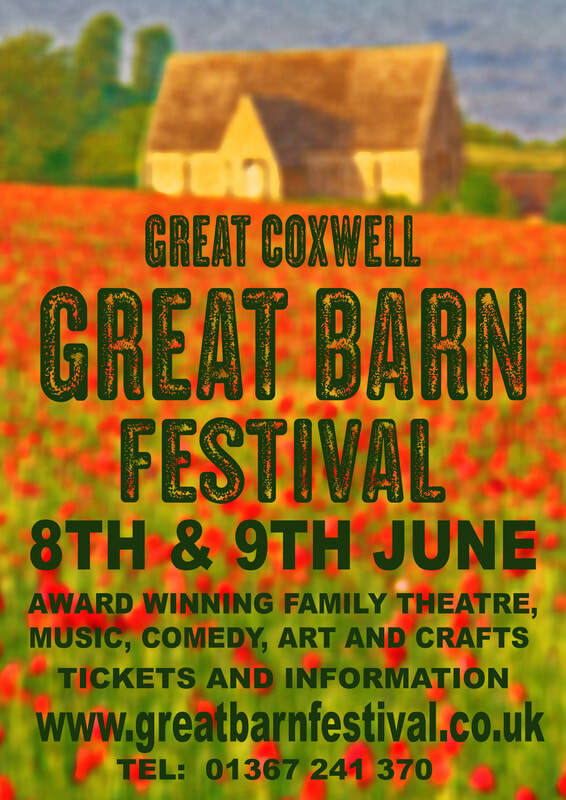 ​​This event is run as part of the Great Barn Festival. Please see www.greatbarnfestival.co.uk for more information on all the events taking place. An epic tale of pirates, monsters of the deep, sea battles, whales and…a mermaid! Our Swashbuckling hero- Captain Jeramiah Obadiah has hit hard times….He has no ship and no money for grog or adventure! However- a strange chance meeting with a group of Nuns needing to charter a ship to Lourdes, propels him into more adventure than you could shake a cutlass at! Will the notorious Whaler Ezekial Krang foil Jeramiah’s attempts to save a Wobbly Whale and it’s treasure stash? Will Jeramiah ever teach the Nuns to cuss and wield a cannon? Will he ever get Lorraine the Mermaid to stop singing? Bee Operanto is a local artist specialising in illustration, mixed media and 3D form. She lives in a cottage in the woods with her musician husband and a myriad of animals. Her studio, Puff of Smoke, is nestled in the garden. It is a neverland of creatures, dwarfs, fairies, dragons and always the sound of a story drifting through the air. Bee is an experienced teacher and adept at guiding young imaginations to meet their potential as well as instilling confidence in their abilities and refining their skills. In this workshop Bee will tell her Dragon Tale then guide the children through a series of drawings to a final illustrative piece of work. Learn a little about illustration, be entertained and let your imagination run wild – it is a whole lot of fun. A good performance can bring a play to wonderful joyous life. When Shakespeare wrote his great works of art, they were written to be performed and there is no better way to appreciate his works than through a live performance. The Tempest is a comedy play about magic, betrayal, love and forgiveness. Set on a mysterious island in the middle of nowhere, this is the story of Prospero, a powerful magician who was marooned and left to die on the island. By using his magic, he gathers all his enemies to take revenge on them. He creates a giant storm, or tempest, that sets the scene for the plays shipwreck. It’s a fantastical tale of magic, a powerful sprite called Ariel, a strange wildman called Caliban, murder, romance, greed but ultimately forgiveness. 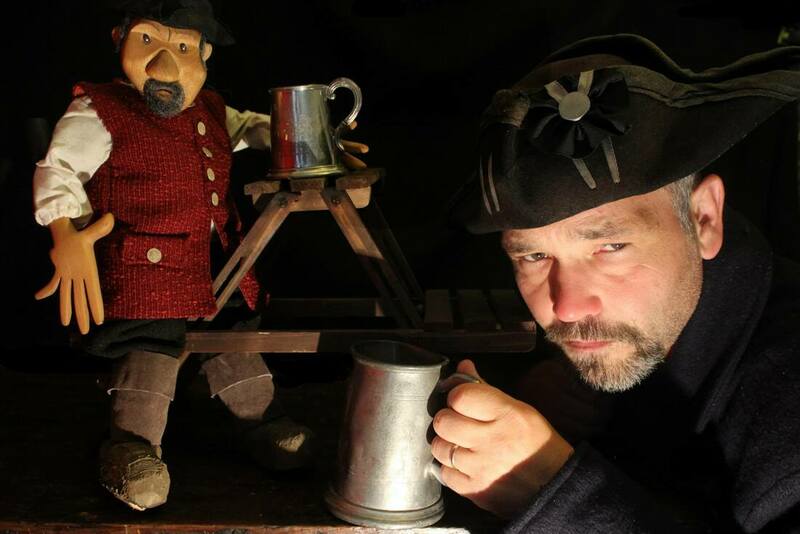 Using mainly modern English, this interactive family show fully encourages audience participation and provides a great introduction to the inventiveness and humour of Shakespeare. As a story, Romeo & Juliet needs no further introduction as it is arguably Shakespeare’s most famous play. It’s a tale of a young man and woman, who fall in love but are destined for tragedy due to their warring families - the Montagues and the Capulets. However, it is so much more than a love story. Who would've thought that this tale of tragedy could actually be quite funny? It can be difficult for children (and adults!) to understand a lot of Shakespeare's humour but once you get it, it'll make you laugh. This production, will bring the action through a series of stage fights, along with the romance and the humour to pulsating life. ​Using a simplified version of Shakespeare’s original text, this interactive show fully encourages audience participation and provides a great introduction to the inventiveness of Shakespeare. Due to the nature of the subject matter, this show isn’t suitable for young children. Join us as we throw open the doors of the Great Barn for a hoedown with a difference! Folky bluegrass reworkings of 80s and 90s classics, Duran Duran to Black Sabbath, A-ha to Depeche Mode played on fiddles, mandolin and kazoos. Dad dancing classics as you have never heard them before. Make the kids squirm, sing along and take to the floor but remember to bring your spoons! There will also be a range of children’s games & activities included with the ticket price. Food & drink options are on-site, so there is plenty to keep the whole family busy. Come along, bring your loudest foot stomping and bring some life back into the Great Barn. Riddlestick Theatre present a riotous musical comedy celebrating curiosity and imagination with a miscellany of tall tales handpicked by you – featured in The Guardian’s Best Shows at Edinburgh Fringe 2018. Tales of woe, tales of science, tales of curses, tales of defiance. Also, some juggling. Reach into Fanny’s cabinet for a musical voyage of hilarity. But beware! Somebody’s out to sink her ship. Riddlestick Theatre are dedicated to tickling fancies with weird and wonderful stories and enchanting live music. Roll up your sleeves and choose the tales we tell in this riotous celebration of curiosity and imagination. Show duration is 1 hour, followed by aftershow music. Bar and dining options available. In this, the second Puff of Smoke Kids Illustration workshop of the weekend at The Great Barn Festival Bee will take the kids on to Space with a tale that allows them to build their own ending, stretch their imagination and learn a little about illustration and art along the way. A great tonic to the digital age and a fun way to explore their creativity. 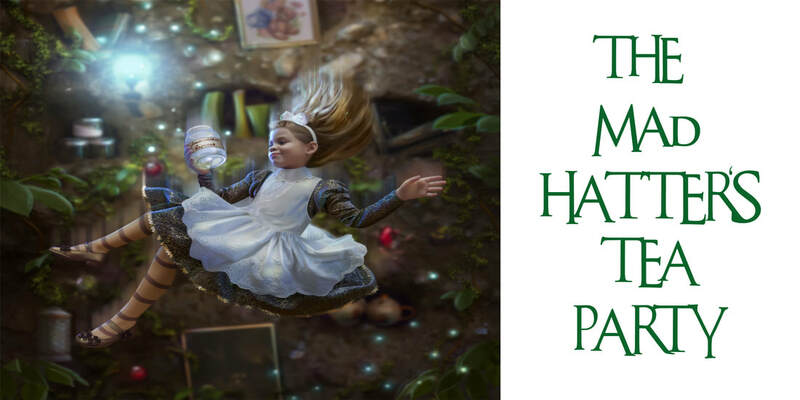 Join Alice and the Mad Hatter on a fun filled magical journey to Wonderland. There will be puzzles to solve, mysteries to unravel and a tea party to attend! Help Alice and the Mad Hatter as they try and solve the riddle of the missing white rabbit. Alice and Hatter will lead you on a magical journey to Wonderland where you must find the white rabbit who has been taken by the wicked Queen of Hearts! Help solve the mystery, answer the riddles, find the clues and discover the whereabouts of the white rabbit. An interactive actor led experience which includes a short play to introduce the story followed by a series of party games and organised fun activities. This fun and challenging workshop will introduce you to, or build up your skills and techniques in, performing Shakespeare’s text, working with First Folio scripts – often described as an actor’s dream as they give creative power to the performer. Sun & Moon Theatre specialise in breaking down barriers between actors and text, giving you the opportunity to play with Shakespeare’s words and make discoveries, exploring visual clues and technicalities, and unlocking thoughts and emotions. ​Whether you are experienced or are new to Shakespeare, the aim is to support you in feeling more confident and liberated with Shakespearean text, helping you to find your voice and prepare either for working on plays, or for auditions, or for simply trying something new! 'Amazing experience, I found the techniques that were introduced very helpful which I will continue to use ... Can’t wait to try them out more! The universal appeal of a drumming workshop brings together people of all ages in a fun, energizing and accessible way.. From complete musical novice to professional musician, everyone enjoys getting involved with creating infectious grooves and foot tapping rhythms! Parents, family & friends are welcome to stay and spectate, however there will only be one drum per paid ticket available on the day. Visit Emma’s restaurant where all the animals come for lunch. She serves treetop delights such as sycamore sausages, juniper jelly and oak leaf ice cream! A show with songs, music, puppetry and lots of fun. Emma Boor has created her puppetry company ‘Wild Boor Ideas’ to spread as much joy as possible! Using a hodge podge of puppetry, theatre, music, costume and story. Wild Boor Ideas weaves its magic across Oxford and beyond. Join a small group for a fun workshop guiding you to find the joy in being creative, gently helping with technique without judgement and perhaps helping you remember just what a thrill it is to use your imagination. During the Great Barn Festival Bee will be leading several children’s illustration workshops however grown ups should not be excluded from the fun. Art has been shown as a way of calming the mind, encouraging logical thought and building a sense of achievement and self esteem. The recent boom in colouring in books for adults as a tool for mindfulness and well being would pay testament to this as would Bee’s more mature students, amongst them from surgeons, busy mums and business men. Bee Operanto, has an MA in Fine Art and Ceramics, a BA in 3D Design and Ceramics/Print Making/Photography, and is a lecturer in Art, Design and Fine Art. She is also the founder of Puff of Smoke studio, where she teaches mindful and compassionate art. She has taken part in numerous exhibitions and pop-up galleries throughout the UK, and was a finalist for the Foxy Crafters "The Craftys" Award in San Francisco. She also featured in the Welsh Art Magazine, and in 2016's iBook of Abstract Art. Sun & Moon Theatre will entertain you with a pop-up show of scenes, speeches, sonnets and songs from Shakespeare. See and hear your favourite Shakespearean moments and be introduced to those that you have never heard before. A vibrant and intimate variety show featuring performers who share a love for Shakespeare's works. 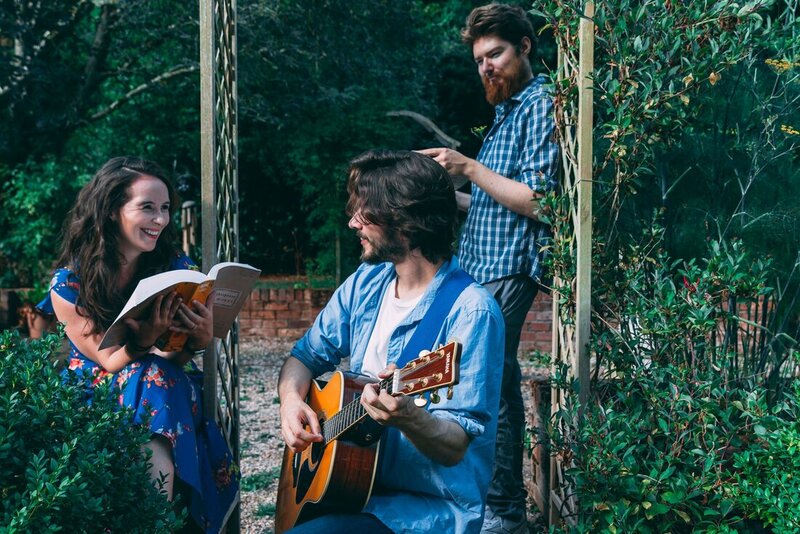 Sun & Moon Theatre formed in 2013 and are invested in delighting their audience with joyous and thought-provoking theatre, specialising in Shakespeare, ensemble practice, intensive solo work and working with First Folio scripts and Globe practices. Their previous productions include Swindlers, Follies and Schemers, Let’s Misbehave, Let’s Call the Whole Thing Off, A Midsummer Night’s Dream, The Tempest, The Sun and the Moon, The Two Gentlemen of Verona, Shakespeare by the Quay, Twelfth Night (or What You Will) and As You Like It. ​​​This event is run as part of the Great Barn Festival. Please see www.greatbarnfestival.co.uk for more information on all the events taking place. From the age of sieges and chivalry comes a show about medieval love, adrenaline junkies and an insane quest for glory. 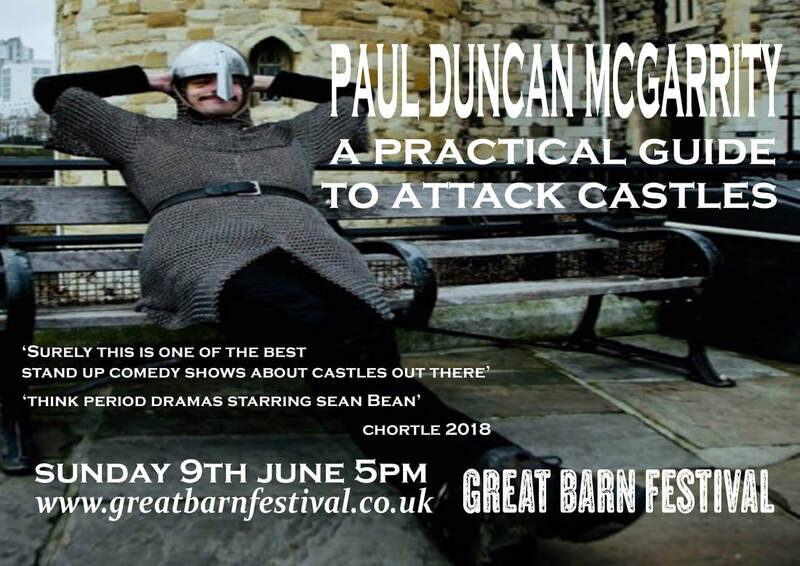 Join comedian and archaeologist Paul Duncan McGarrity as he explains how modern life could be so much better if we all took a moment and learnt how to attack a castle. From the host of the 'Ask an Archaeologist' podcast and live show comes another hour of hysterical historical fun. "A more pleasant way to pass an hour could scarcely be found" (Broadway Baby). This performance is suggested for an audience of age 15+. Bessie Smith (1894-1937) was an American blues singer. Known as the Empress of the blues, she was the most popular female blues singer of the 1920’s and 1930’s and is often regarded as one of the greatest singers of her era and was a major influence on other jazz singers. Enjoy an evening of classic blues, with the wonderful Julia Titus & her Pig Foot Band, presenting the music of Bessie Smith and her contemporaries to a new audience. This is a relaxed performance with an open bar and some fantastic dining options so make a night of it.